I just finished up another Reviva Labs product, and wanted to share my thoughts with you about it. 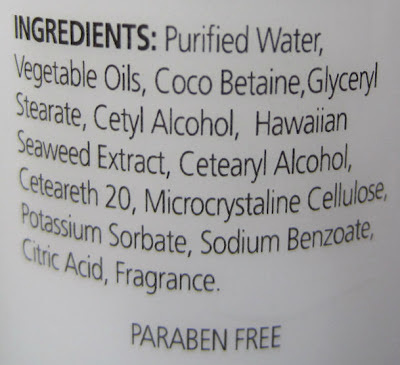 This review is for their Hawaiian Seaweed Cleansing Milk, which is a gentle yet effective facial wash that receives high marks for adding moisture to my skin without a heavy, greasy feeling. The first time I used this face wash, I wasn't convinced that it was thoroughly cleansing my face. 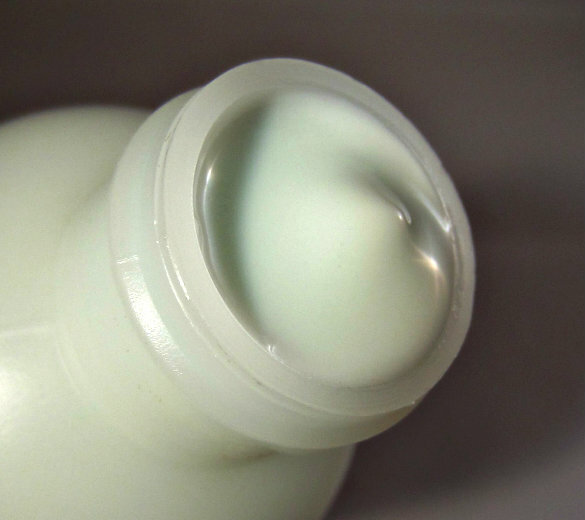 It feels like a lotion, and doesn't lather or foam up at all. Cleansing Milks typically work this way, but I guess I'm more inclined to think they need to lather and foam up, which really isn't the case at all. It's very gentle and nourishing for the skin, has a light scent, and I use just a small amount each time I wash my face. When I apply a toner with a cotton ball after cleansing, it's absolutely clean, so this cleanser does do a thorough job. From Reviva Labs: a mineral-rich, milky seaweed cleanser that helps to eliminate toxins as it cleanses. Hawaiian Seaweed's valuable minerals help energize skin as the milky cleanser easily lifts out dirt, makeup and environmental debris. 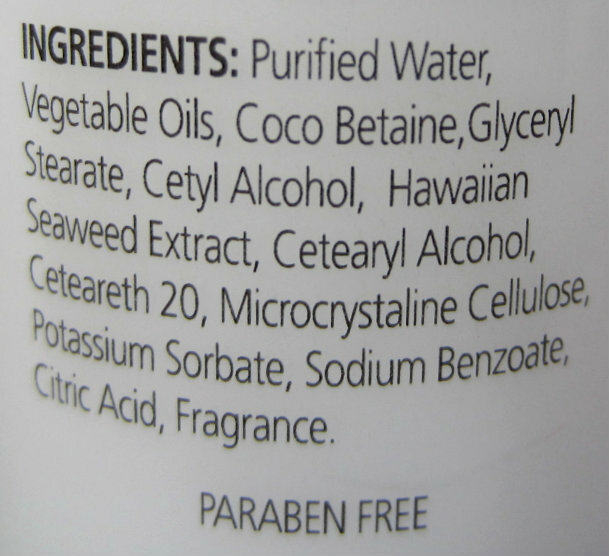 Hawaiian Seaweed's magnesium helps soften skin, too! With an exact amount of proper viscosity vegetable oil, this formula is an effective day/night cleanser for any skin type. This comes in a 4 oz. flip-top bottle and retails for $8.00. I removed the lid to show you the consistency of the product. It's of medium thickness, and the color shouldn't really matter, but I think it's such a pretty shade of pale aqua/green! In addition to doing a good job of cleansing my face, this product ranks right near the top of facial cleansers I've used that deliver plenty of lasting moisture without leaving that feeling of residue or greasiness. Softness is all that I'm left with! My face doesn't even feel like it needs a moisturizer after using this. If you're looking for a reasonably priced natural cleanser, this is a good one to check out if you want your skin to stay soft and hydrated through the upcoming Winter months. This product would work for all skin types, as I have combination skin that is a bit oily in the T-zone, and it doesn't add to that issue at all. On nights when I'm feeling lazy (who, me?!!) and don't want to go through the entire wash, night serum, night moisturizer routine, I just use this cleanser and my face feels moisturized enough to erase my guilt of skipping the other products! The green color is very pretty! What does the face wash smell like? APE~my first thought when I opened it was that it reminded me of baby powder for the scent. I just compared it to baby powder for you, and yes, it does smell like that only lighter. Hope that helps! I love baby powder scent. Thanks Mary!